Please contact Steve Rudolf at (203) 312-4099 or by email at steven.rudolf@yahoo.com to find out if there is walk-in availability. 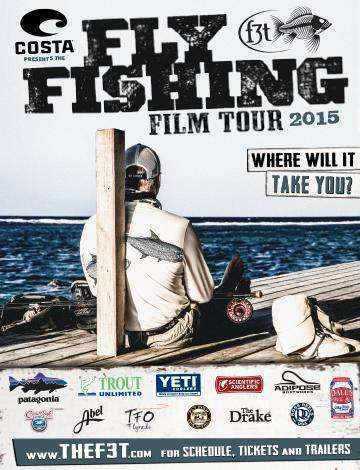 The Fly Fishing Film Tour is brought to Wilton by the Mianus and Candlewood Valley Chapters of Trout Unlimited. All proceeds will benefit the Mianus and Candlewood Valley Chapters of Trout Unlimited. Tickets ($20) are available online through F3T and at the door for ($25) on the night of then event. Doors open at 7:00pm and the film will start shortly thereafter. Please make plans to arrive a few minutes early for this special one night event!